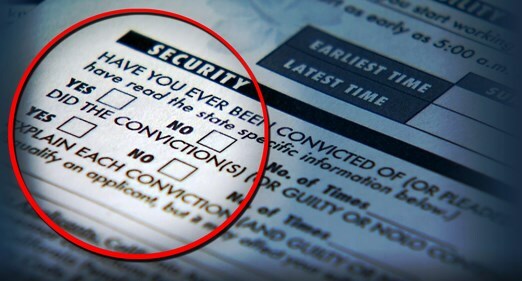 Across the nation and here in Tompkins County, there is a Ban-the-Box movement to reduce barriers to employment for applicants who have a felony conviction on their record. Given the enormous number of people who have been convicted, the vast majority for non-violent crimes, employers play an important role in helping people find decent, stable employment. Other states such as Hawaii, Ohio, Oregon, Massachusetts, California and N.J., and municipalities such as Orlando, NYC, and the City of Rochester have passed Ban the Box Ordinances. In June of 2015, NYC went beyond banning the felony box on applications for jobs in city government, and now prohibits both public and private employers from asking questions about felony convictions during the initial employment application process. As a business that has employed a lot of people over 42 years and values fairness in employment, this seemed like something important for us at Moosewood Restaurant. In our case, we were actually using the same old boiler-plate application for years; I looked at it and there was the question: “Have you ever been convicted of a felony? If yes, please indicate which charges may be relevant to the position you are seeking.” All we needed was to agree that this was an unnecessary barrier, and we revised the application and deleted the question. Simple. There are multiple steps in a hiring process, and employers may ask about prior convictions at later stages. In some cases employers must ask about felonies up front if it’s relevant to the position the candidate is seeking, for instance, as a police officer or as a childcare worker. We encourage other businesses and institutions in Tompkins County to adopt Ban the Box policies. Whether one is a small business owner, manager, department head or human resource director, employers understandably have important questions.